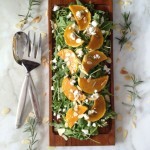 A chilled, roasted butternut squash salad with goat cheese, toasted almonds and arugula in a homemade peach and rosemary dressing. Toss sliced butternut squash in olive oil, salt and pepper until well coated. Bake in preheated oven about 30-40mins. Set aside and let cool. This step can be done the night before. 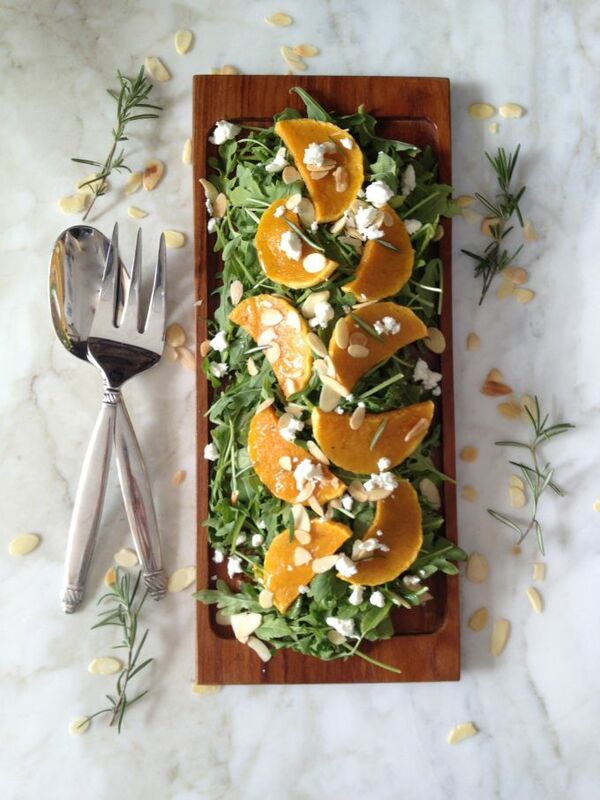 In a salad bowl, combine arugula, toasted almonds & cooked butternut squash. In blender or food processor, combine all dressing ingredients and blend until smooth. Toss salad lightly in dressing. Sprinkle with goat cheese (or vegan Parmesan cheese) and serve immediately.